Figure 2: Students at Odyssey High School (South Boston, MA, 2004). 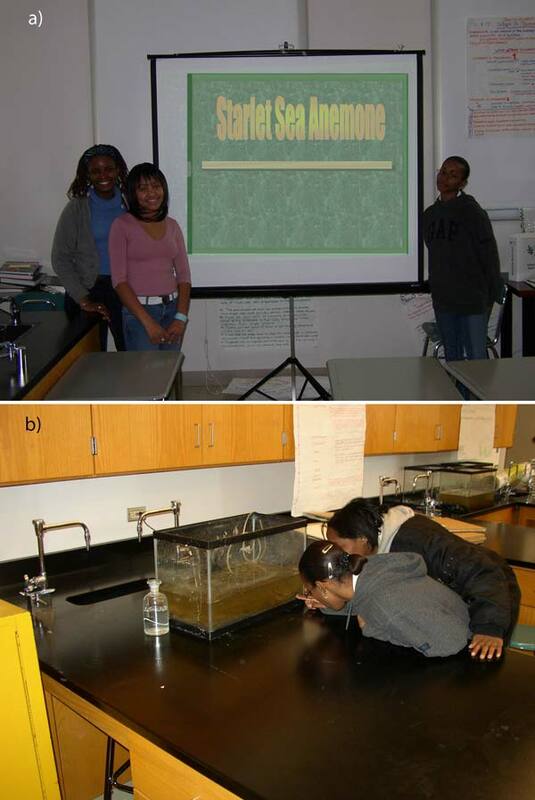 a) Students present the results of their observations and literature review on the starlet sea anemone. b) After presentations, an "expert" explains the swimming motion of a grass shrimp to a classmate.